Just today when I opened up my Reader in the morning with a sip of a coffee..., I came across a surprising news about the launch of cheapest Android mobile device in India. Recently, Sudhir Kumar, assistant general manager of the telecom division at Intex, announced that Intex is going to launch Android Mobile with Android version 2.2 in the first week of February. The device is set to be priced at Rs. 5500. In addition to this Intex is also planning to launch mobile devices with in-built projector. These devices will also be capable of running Office Applications and eBooks. 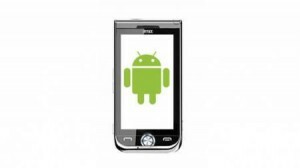 With this step Intex has also stepped up the Android bandwagon. It seems that the year 2010 has sparked up the mobile OS war and year 2011 will continue to add fuel to the fire. This will make the war more aggressive as already the big players like Apple and Nokia are competing with the wildfire of Android. Some big shots like HTC, Motorola, Samsung which seemed to be silent, have come up with embracing Android as their platform.